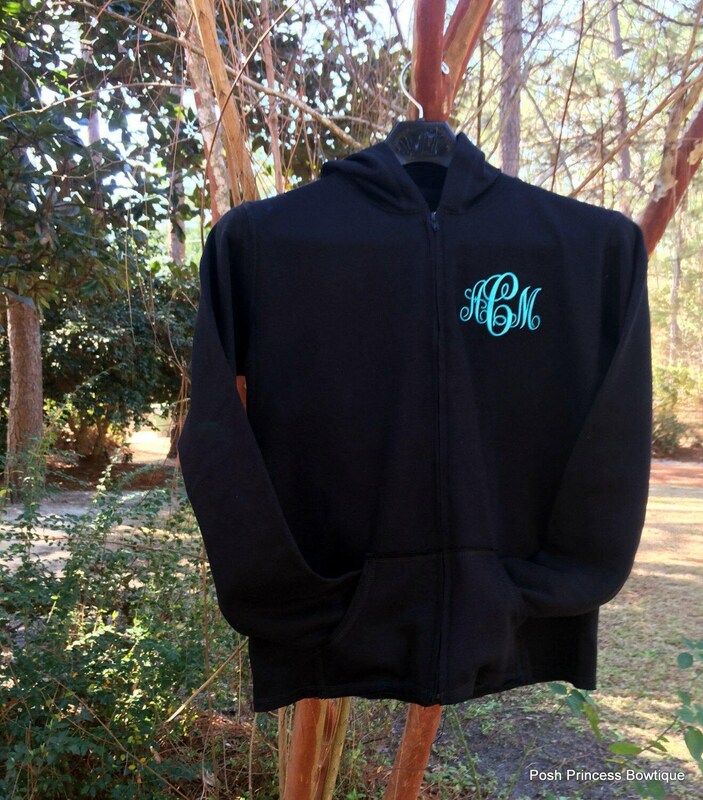 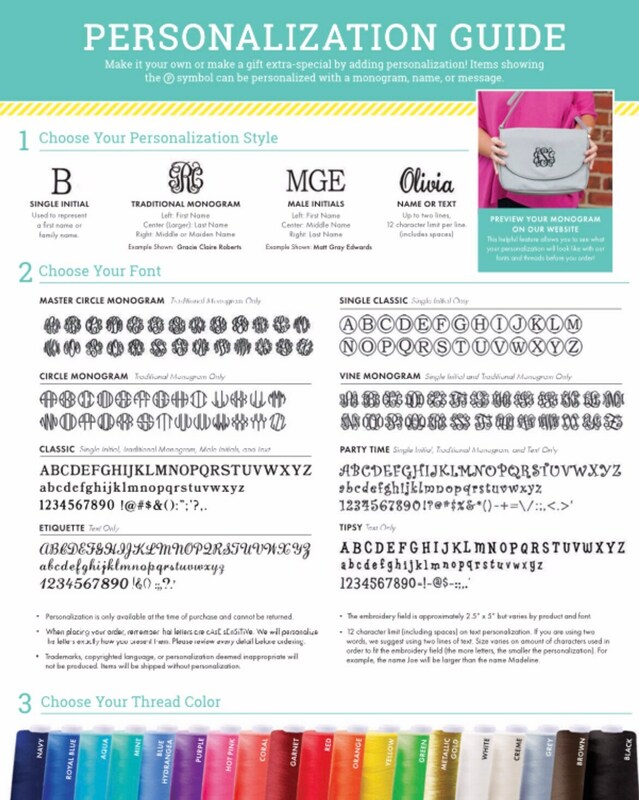 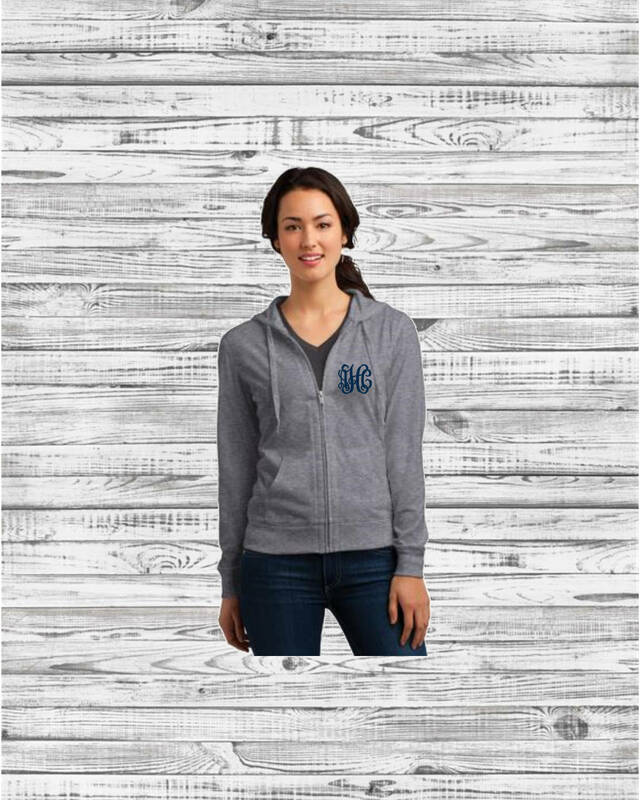 Our monogrammed hoodies are everything your closet needs for cooler weather! 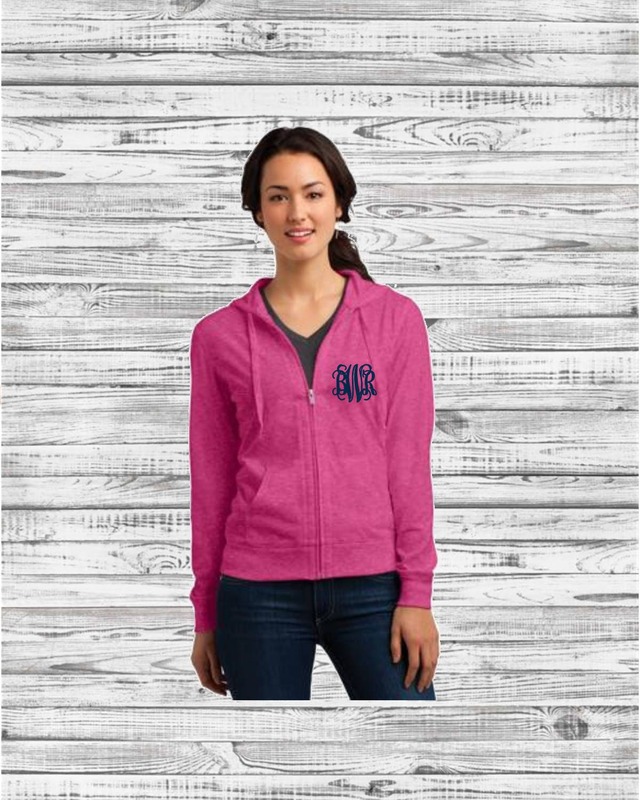 They're lightweight, and super soft - so they're awesome to wear practically year round, and are perfect for layering! 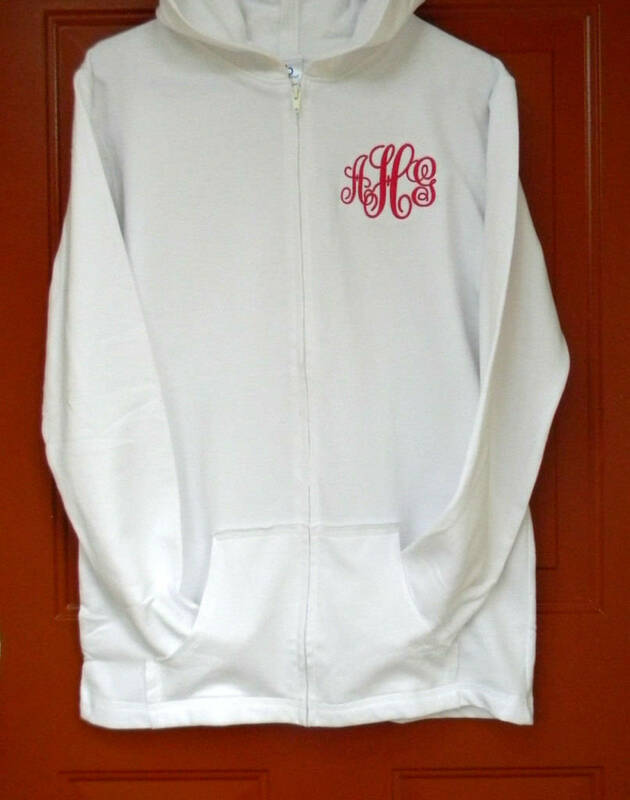 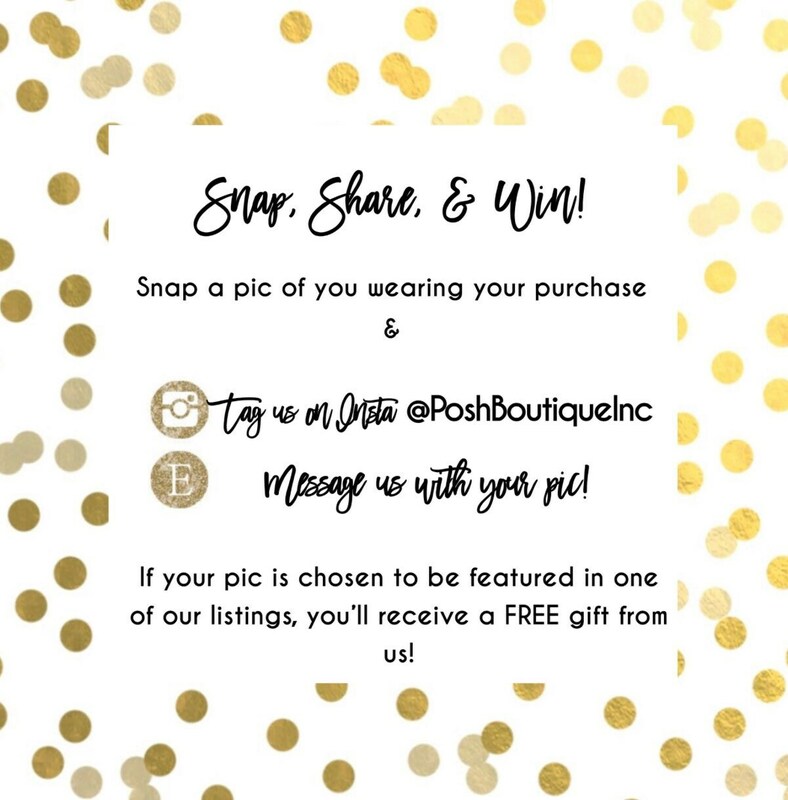 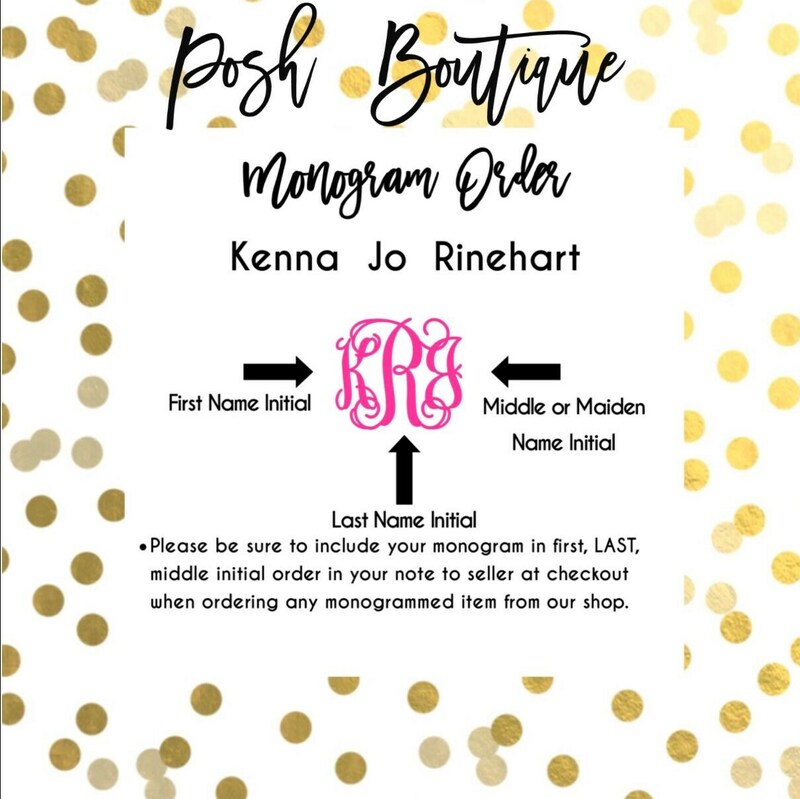 They also make awesome bridesmaid gifts - be sure to message us for our group purchase coupon code when ordering multiple hoodies! 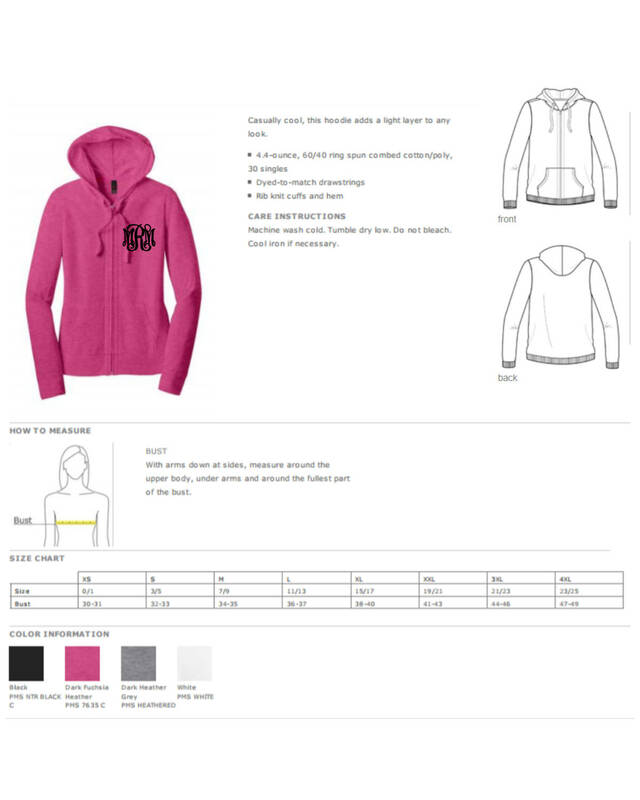 First, select your size and sweatshirt jacket color from the drop down menus within this item's listing. 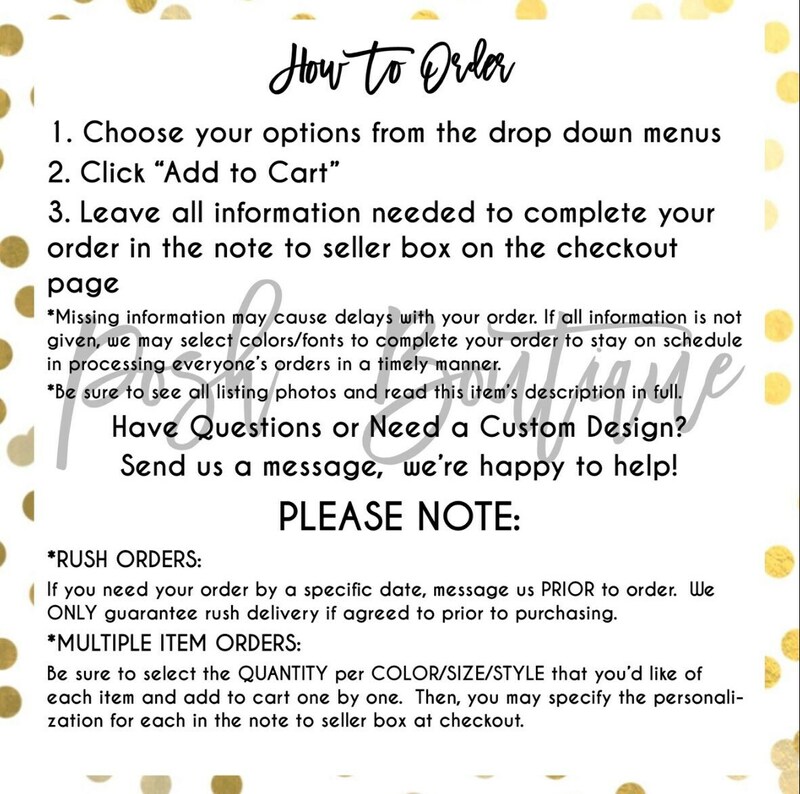 Please be sure to see all listing photos for color and size charts.